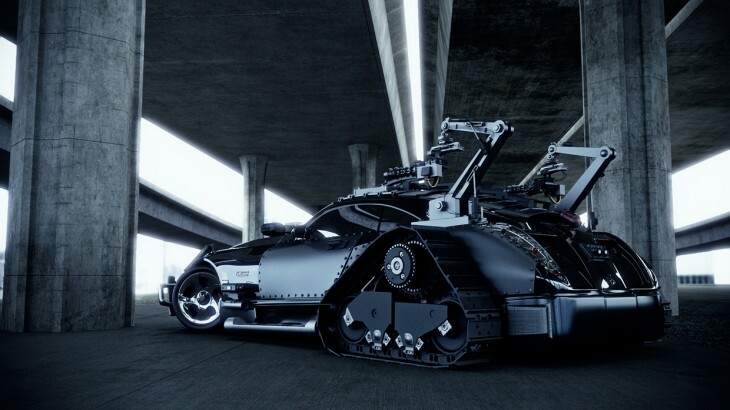 Daimler may have killed off the Maybach brand last year, but this particular Maybach - based on the Maybach Exelero prototype from 2005 - looks like it's ready to take the fight to the undead. 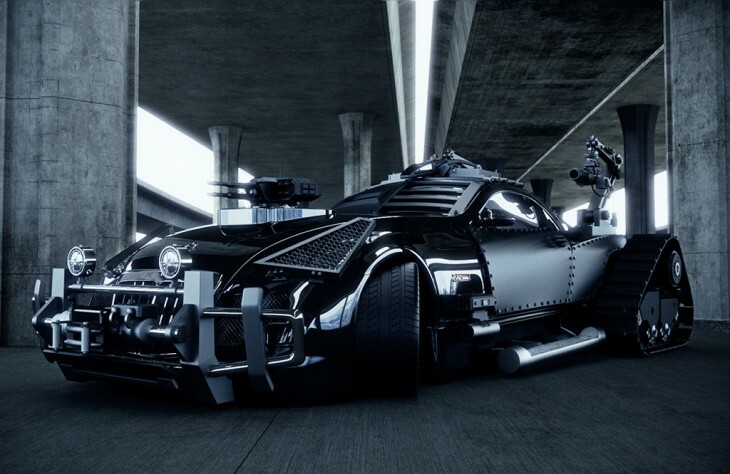 Created by the Jordanian designer Khaled Alkayed, the Mad Max-worthy Maybach Exelero concept features a range of enhancements which turn it from a 700 horsepower V12-powered luxury coupe, into a battle-ready, gun-toting, armor-plated sinister death machine. 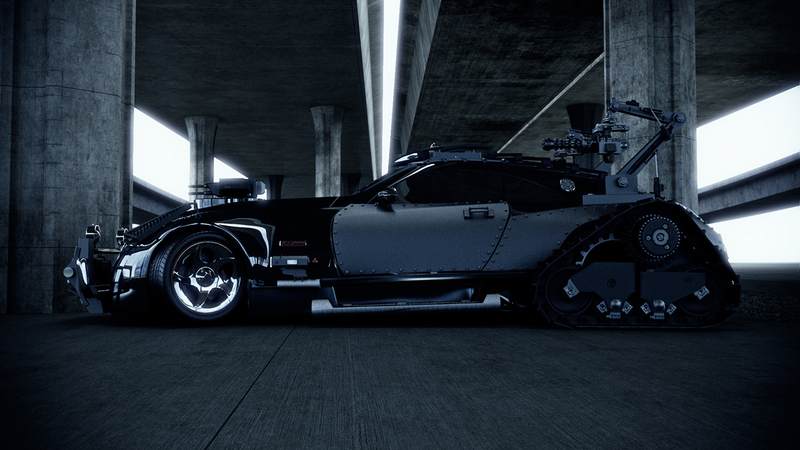 The concept features tank-inspired tracks in place of the rear wheels, dual rear machine guns mounted on robotic arms, thick armor plating for the passenger compartment, a multi-purpose bull-bar up front, protective grilles covering the headlights, and a rocket-launcher and gun thingy bolted to the hood.